MIT’s Technology Review had an interesting article about increasing the power output from solar panels by splitting the different wave lengths of light and directing each to a solar cell tuned for that wave length. I’ve heard about the technique before, but usually the cells are stacked, so the longer wave lengths needs to pass through other cells before it hits the cell tuned for its absorption. 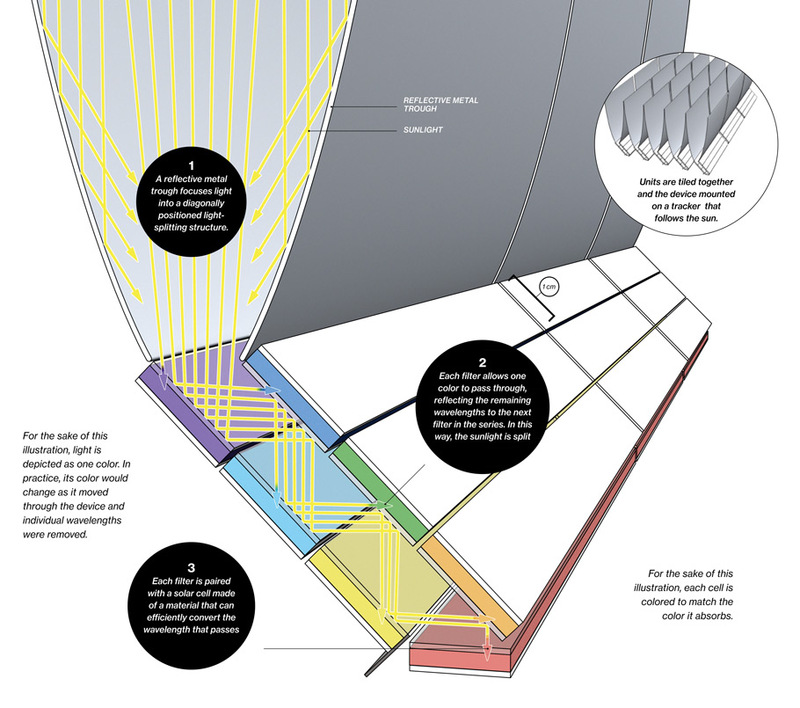 This technology splits the light horizontally and has cells for the different wave lengths side by side. You can read more here. There is a great article in MIT’s Technology Review about why we need more solar companies to fail. There is an over abundance of solar panels that is currently dropping the price for solar faster than companies and retool to meet these new price points. You can read the article here.